Located in South Hurstville a southern suburb of Sydney. 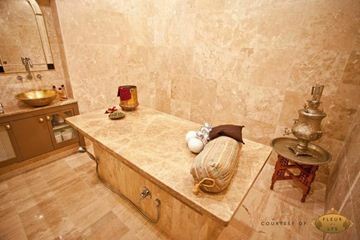 This experience includes a one hour blend of Aromatherapy and Hot stone full body massage. Enjoy a 1 hour blend of aromatherapy and hot stone full body massage with a qualified massage therapist to help release any built up stress and to completely relax the body. The use of personally blended oils will penetrate the skin and deepen your relaxation for the ultimate massage experience. For a truly unique and tranquil experience, try this flotation pamper package for two in Camperdown. This couple’s treatment will take place in one of Australia’s most popular and stylish day spas. Offering over 20 treatment rooms, including 6 private couples’s suites, it’s not hard to achieve the optimum feel of relaxation and exclusivity. The heated water beds are in a private suite and will give the illusion of resting on the smooth surface of a lake. Not only is this day spa a luxurious escape from the streets of the CBD, it is only a short trip away from the main heart of Sydney, in Camperdown. Enjoy a blissful 1.5 hour pampering treatment for two in Sydney. This is a perfect gift idea for anniversaries, a wedding or an engagement for the special couple that deserves to treat themselves! 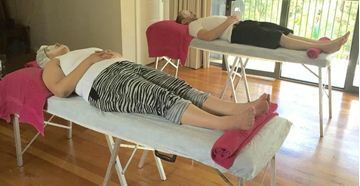 This couple’s treatment will take place in one of Australia’s most popular and stylish day spas. Offering over 20 treatment rooms, including 6 private couples’s suites, it’s not hard to achieve the optimum feel of relaxation and exclusivity. Indulge for 2 hours with this luxurious couples pampering Geisha treatment in Camperdown. This particular package will take place in one of Australia’s most popular and stylish day spas. 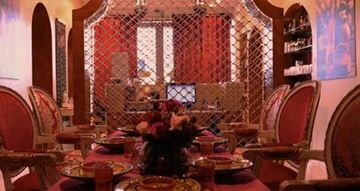 Offering over 20 treatment rooms, including 6 private couple’s suites, it’s not hard to achieve the optimum feel of relaxation and exclusivity. This particular package will take place in the day spa’s unique Geisha- inspired room with a large tub. Need A Mobile Beauty Service? 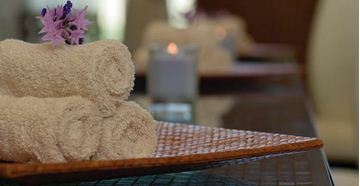 Let us pamper that special someone for you in the privacy and comfort of their home, accommodation, hospital or office. This is the ideal gift for a family member, who is in need of some pampering, mums, grandmas will love this. Includes a full body polish for exfoliation followed by a full body mud masque wrap, hot towels and full 60 minute massage. Pamper Mum with this luxurious one and a half hour package including a facial and aromatherapy back massage. Package consists of a one hour facial treatment with skin diagnosis, half hour aromatherapy relaxing back massage and a yummy hot chocolate whilst she relaxes. For her facial treatment Mum can choose Payot or Dermalogica skin care. Experience a Moroccan Rose Full Body Exfoliating Scrub, then move into the treatment room for the magnificent Full Body Hot Stone Massage using aromatic oils. This very popular salon is in Paddington, ten minutes from Sydney CBD.